Autumn evokes images of falling leaves, back-to-school traffic and cooler weather across our area. 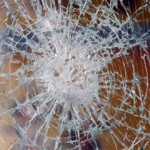 This picturesque season can also present real risks to your auto glass in Houston. Rocks, acorns and other road debris can cause cracks and chips in your windshield that can not only affect visibility but can also reduce the structural stability of your vehicle. Here are some of the most common road hazards to watch out for this fall. As the mercury in your thermometer falls, the stress of temperature changes can cause fractures or cracks in your windshield. Cold temperatures at night can give way to much warmer conditions in the morning and afternoon, causing dramatic expansion and contraction of your windshield. If your auto glass already has chips or cracks, these temperature changes can worsen this damage and prevent clear vision through your windshield. Making an appointment with an established Houston windshield repair company can allow you to resolve these problems before they become full-fledged replacement projects. Fall cleanup projects can generate a fair amount of branches, leaves and rocks that must be disposed of safely. In some cases, however, improperly loaded materials can end up on the road to present serious hazards for drivers. Falling nuts, acorns and fruits can also cause damage to your windshield and auto glass. If your windshield is cracked or chipped because of road debris, taking steps to repair these issues can help you avoid the expense of a complete Houston windshield replacement while preserving the appearance and functionality of your vehicle. Deer are more active during the spring and fall months in the Houston suburbs. This can lead to close encounters of the dangerous kind with these fleet four-legged animals. If your auto glass is broken or damaged in a collision with a deer, scheduling an immediate repair can help to prevent further damage and can ensure the greatest structural stability for your car, truck or van. Driving carefully in rural areas can also help you avoid deer-related accidents during the fall season. At Apple Glass, we specialize in providing the best and most effective auto glass repair and replacement services in the Houston area. We maintain two brick-and-mortar locations to provide our customers with the greatest possible convenience. Our skilled technicians can also come to your location to provide you with the same high-quality repair and replacement services for your car, truck, SUV or van. Call us today at 281-296-0600 in The Woodlands or 713-680-1400 in Houston to schedule your appointment with our talented tech team. 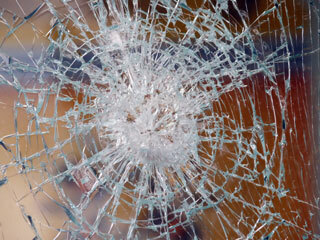 We look forward to taking care of all your auto glass needs. This entry was posted in Auto Glass and tagged Auto Glass in Houston, Houston Windshield Repair, Houston Windshield Replacement. Bookmark the permalink.